On a nearly perfect day, we swam to Manana which is the island just across from Monhegan. 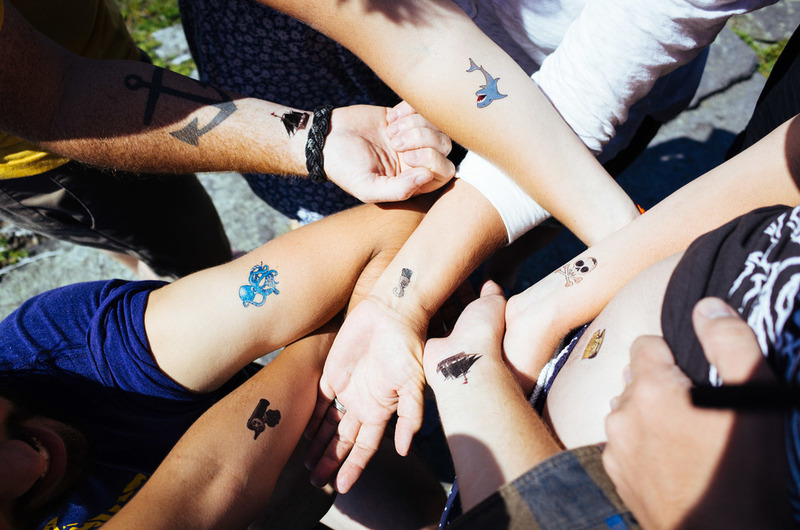 Busted out pirate tattoos. Flew kites. And sent Evan out into the world. Evan and I camped here a few years ago and watched a technicolor sunset descend into the ocean. Dealt with unruly goats.